My daughter’s off to Brownie camp today – she’s been away overnight before, but this time she’s away for three nights. We’ve packed what feels like most of the house (and they’re in a village hall, not tents, so no camping equipment beyond a sleeping bag)! I wanted her to have a little something if she felt a bit homesick and was inspired by this project on Ravelry http://www.ravelry.com/projects/batfink/sock-buddies. Both socks have pockets, one has a bear to hug and the other a little crochet heart tucked inside. I’m not sure what it will take Brown Owl and Tawny to get through the next few days – rather more than a pair of socks I suspect! 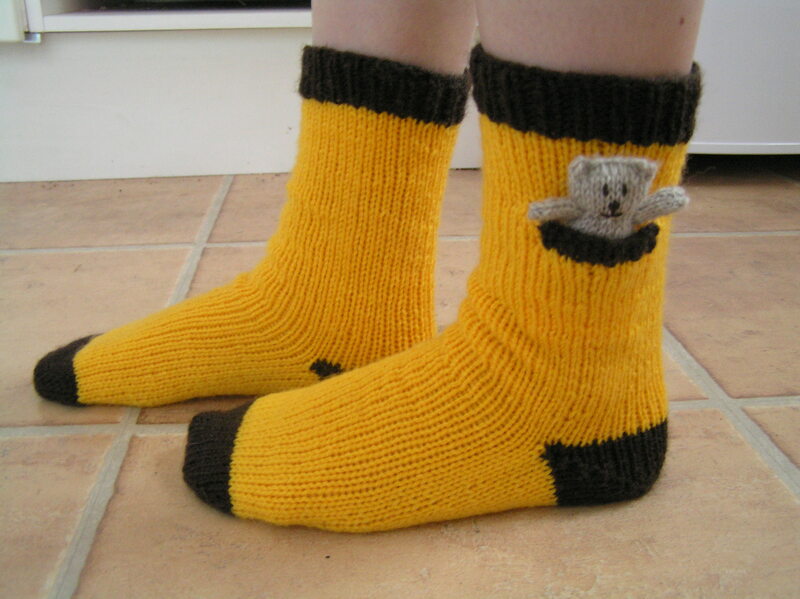 This entry was posted in Knitting and tagged brownies, Knitting, socks. Bookmark the permalink.